Yesterday, like most Saturday mornings, I sipped my coffee while listening to ABC’s Saturday Night Country from Radio Australia’s Shepparton shortwave transmission site on 9.58 MHz. In this program, SNC’s host, Felicity Urquhart, shuffled in some holiday tunes with her normal mix of country music, news and interviews. Fortunately, I captured the whole show in two recordings (starting on 9.58 MHz for the first hour, then moving to 11.945 MHz for the rest of the show). This entry was posted in Broadcasters, Music, Recordings, Shortwave Radio, What's On Shortwave and tagged ABC Saturday Night Country, Felicity Urquhart, Radio Australia Saturday Night Country, Radio Australia Shepparton, Saturday Night Country Shortwave on December 9, 2012 by Thomas. Try that with an iPhone! 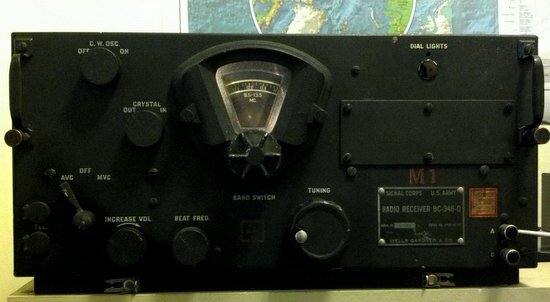 With the help and guidance of my good friend Charlie, we just repaired and aligned this BC-348-Q receiver. BC-348s were built to withstand the extreme temperatures (-60F) and vibrations on board the B-17 and other bombers, where they were used extensively in World War II. I picked this beauty up at the 2012 Dayton Hamvention for $40. Next year, this radio will be 70 years old. This morning, I have it tuned to Radio Australia’s Saturday Night Country on 11,660 kHz shortwave. It’s “connecting” to a wireless network over 9,800 miles away and producing beautiful, warm audio. Try that with an iPhone. This entry was posted in Articles, Boat Anchors, Radio History, Radios, Shortwave Radio and tagged ABC Saturday Night Country, B-17, BC 348, BC-348-Q, boat anchors, iPhone, Military Receivers, Saturday Night Country Shortwave, Why Shortwave Radio, WWII Radio on October 13, 2012 by Thomas. I’ve mentioned before how much I love this show–you don’t even need to be a fan of country music to have a true appreciation for it. Saturday Night Country should be on your shortwave listening schedule. If you live in North America, you’ll find the signal out of Shepparton, Australia is so strong that even a mediocre portable radio can receive it with ease. 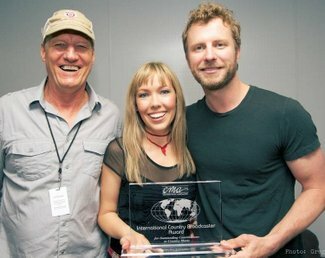 This entry was posted in Broadcasters, Music, Recordings and tagged ABC, ABC Saturday Night Country, Felicity Urquhart, Radio Australia, Radio Australia Shepparton, Saturday Night Country Shortwave, Shortwave Radio Recordings, What's On Shortwave on July 22, 2012 by Thomas. Even though it’s well over 9,800 miles (15,800 kilometers) and many time zones from where I live, I listen to Radio Australia’s Shepparton broadcast site perhaps more than any other on the shortwave bands. For decades, it has beamed a broad and booming signal into North America on 9,580 kHz every morning. Well, I say “morning” here in the southeastern US, but in Australia, it’s their (or, for our Aussie readers, your) evening. What I love about Saturday Night Country is that there’s lots of music, but also excellent interviews as Felicity chats with well-known and upcoming stars. Since the Radio Australia shortwave signal out of Shepparton is always so strong coming into the US, the audio fidelity is often on par with local AM (MW) stations. Incidentally, I used making this recording as an excuse to test one of the newest receivers on my bench, the WinRadio Excalibur. Its recording functionality is perhaps the best in the SDR world–and, I’ve got to say, I’m most impressed with it. Out of the chunk of spectrum I recorded, I was also able to hear RCI’s Sackville site broadcasting All In a Weekend on 9,625 kHz. In the past, these two have had conflicting schedules between 8:00-9:00 local, but with the Excalibur’s three individual receivers, I can record one while listening to the other–or better yet, record both, and track down yet another station! This entry was posted in Broadcasters, Music, Program Spotlight, Shortwave Radio, What's On Shortwave and tagged ABC, ABC Saturday Night Country, Felicity Urquhart, Radio Australia, Radio Australia Shepparton, Saturday Night Country Shortwave, Shortwave Radio Recordings, What's On Shortwave on June 4, 2012 by Thomas.